Equities start the day slightly lower as catalysts become extremely scarce. Seriously, what’s out there? Someone please tell me what’s going to move markets between now and Dec 31? Yesterday featured a 1 point range in the S&P for the better part of 3 hours. 1 point! I know it was a holiday (Bless those who put their lives in harm’s way so my children can be safe) but come on, is this how it’s going to be for the next 7 weeks? At least price action has been favorable. In my last recap I pondered what would happen in a 5% pullback (massive buying). Well, we got a 1.25% pullback on Thursday and it got wiped out the very next session. Of course in the absence of catalysts, and with the market sitting at its all time highs, bubble talk has exploded onto the scene. Bubble this, bubble that, bubble here, bubble there. Are some things in bubbles? Yes, in my opinion (and my opinion only) some of these social media stocks have hard to justify valuations (I pointed out Pinterest rocking a multi billion dollar value with no revenues at all). Does that mean the entire stock market is a bubble? Of course not. Remember how everyone was dead certain the Euro would implode? Nonstop articles about Euromageddon? Guess what, didn’t happen. This feels like it’s shaping up the same way right?. The more they throw charts in my face showing me a bubble, the more comfortable I feel about the market. As always, the more people talk about something, the more they analyze it and pull out fancy charts, the less likely that event will occur. Anyway, let’s see if the market had more action today than yesterday. For the first hours it sure didn’t, as we meandered around unchanged. A small selloff by lunch took us down a whopping 6 pts to 1,765. Any news? Nope, little bit of Fedspeak but nothing you haven’t heard before. I’m not really sure why the market has died all of a sudden but it probably has something to do with year-end (you can hand me the Nobel right now). If the benchmark is up 25% (SPX), and your fund is up double digits, would you want to risk that in Nov/Dec? Probably not right? You have to think this is one of those years where PMs want to avoid a single digit return so I bet the majority of them are finding creative ways to tread water. Lock in those digits and start planning for 2014. I bet that’s what’s going on, which is fine, just means we’ll see a lot of quiet days until year end. Now that I’m done filling space with random musings, let’s talk stocks. Any movers? SRPT blew itself up….again…falling 61%. Let’s use one of my old favorites shall we? “Biotech…good luck! !” Other losers CLF, NRG, NBR, BTU, and PXD. Energy am I right? Winners THC, GME, DHI, XRX, and SWY. No rhyme or reason there. American Airlines appears to have settled with the Justice Dept promising to give up a few sweet sweet slots in DC and NY. You know I’ve seen terminals in Nicaragua that are nicer than Laguardia, can’t they burn that thing down and start over? Think I saw some hay and a chicken last time I was in there. By lunch we sat on 1,765 going nowhere fast. 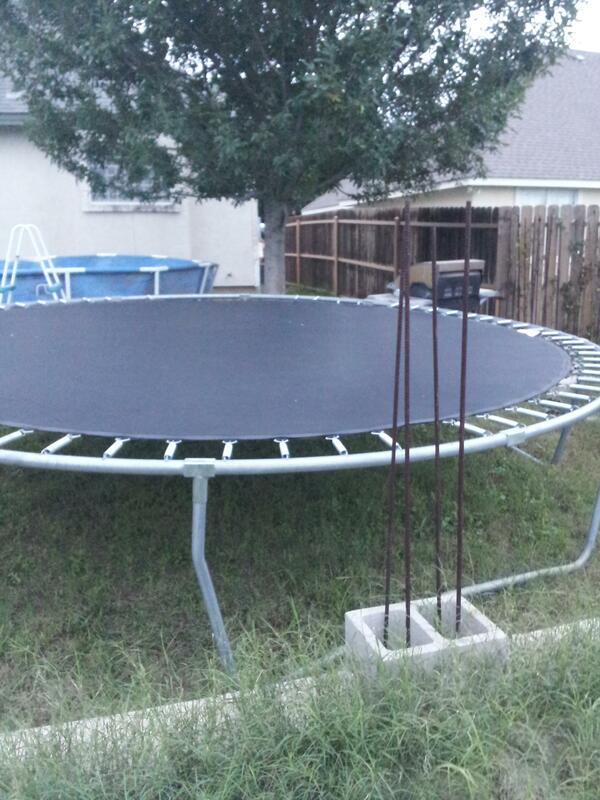 I have a question for you, do you have the nerve to swing on this? I bet you don’t. The last hour brought nothing. In fact the last two days have brought nothing, a total zero. No action, no news, no stock market movement, nothing good on TV, nothing good to eat, and Winter is coming. Since nothing is happening I’m going to stop wasting your time. Don’t you wish more people would say stuff like that? Final Score: Dow -21bps, S&P500 -24bps, Nasdaq +7bps, Rus2k unch. Josh Brown on crashes: Most of your favorite crash-fetishists have track records that you wouldn’t wish on your worst enemy. It is one thing to be aware of the potential for terrible things to happen, it is quite another to give up on life and opportunity altogether. Rosie on crashes: Despite the hurdles from valuation, sentiment and even technicals, one of the problems for the bears is that everyone seems to acknowledge that we are due for a correction. Even the bulls are anticipating one. If that Super Typhoon was centered on the pan-handle of OK, it would cover the entire continental US. Wow. Let’s do a bunch of my “how amazing is this place” at once! Awesome amazing chart here of…well….some not so profitable companies you might know! I’m putting these people up for “parent of the year. An authoritative history of the Trapper Keeper? Yes please. Man you knew you were boss in Middle school if you rocked a Trapper Keeper huh? Judging by the trees and home (and action)…im guessing Florida. We’ll end tonight with a flying pushup. Ill admit I didn’t know what one was nor will I ever be able to do one. This is crazy.